Some people—particularly those who missed our article about it last year—might be surprised to learn that Sony is making another Smurfs movie. However, anyone familiar with Smurf lore knows that Gargamel, one of the most powerful wizards in all the land, has been trying to kill the Smurfs for decades, and he’s never been able to kill a single Smurf. So what chance do we have of stopping the release of further Smurfs movies? The collective disgust of the world’s film critics obviously won’t do it, so it’s about time we just surrender to the power of the Smurfs and embrace our little, blue overlords. So, anyway, there’s going to be a new Smurfs movie. It’s going to be all computer-animated, it might be some kind of prequel, and it’ll be called Get Smurfy. Seeing as how today is apparently Global Smurfs Day—the only thing about June 14 that’s more ignorable than Flag Day—Sony decided to announce who will be playing three of the main characters: Demi Lovato will be Smurfette, Rainn Wilson will be the aforementioned Gargamel, and Mandy Patinkin will be Papa Smurf. 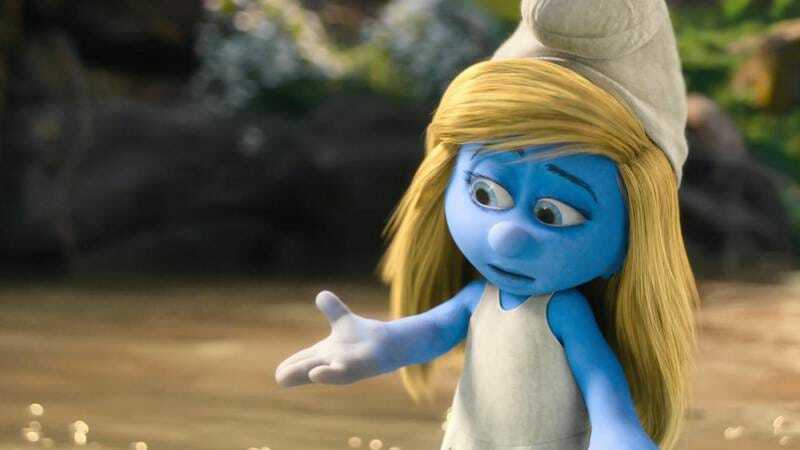 If that cast doesn’t get you excited enough, though, Variety says this film will finally “answer some long-held questions about the Smurfs, including why there’s only one girl among them.” Admit it, you’re curious about that…and no, they don’t lay eggs. Get Smurfy will be directed by Shrek 2’s Kelly Asbury, and it’ll be in theaters on March 31, 2017.